Found 10 file extension associations related to ChessBase and 10 file formats developed specifically for use with ChessBase. ChessBase is an client to connect on ChessBase database of chess games. 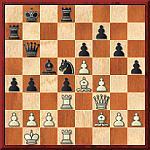 ChessBase database contains many historic games, that can be analyzed. ChessBase application organizes chess data from games and shows errors in human play. If you need more information please contact the developers of ChessBase (ChessBase GmbH), or check out their product website.